Students and parents were welcomed to school by groups of teachers chanting on the third day of the Denver teachers strike. It was a familiar scene for Kathleen Braun, who been on strike for 22 days in her career in education. DENVER — Students and parents were welcomed to school by groups of teachers chanting, marching and waving signs of protest for the third day in a row on Wednesday. It was a familiar scene for teacher Kathleen Braun, who's been on strike for more than three days in her career. In fact, Wednesday was her twenty-second day striking as a teacher. “I struck in 1969, 1994, and now 2019,” said the math teacher. Braun, 72, currently teaches at Emily Griffith High School in Denver. She’s been a licensed teacher in Colorado for 51 years. In that time she’s taught at several schools in Denver and had a couple of stints in Aurora. She’s done a lot in her career. She even ended it once. It wasn’t long before she found herself back in a classroom, and eventually back on the picket line. The 1969 teacher strike was the first on record in Colorado. 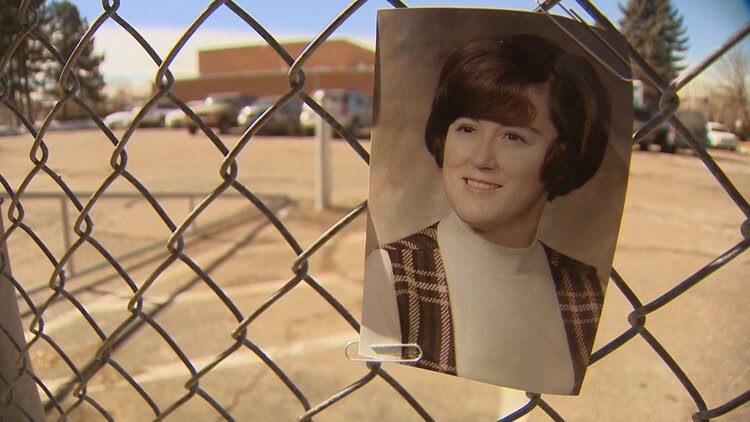 She remembers Denver teachers choosing the Denver Classroom Teachers Association as their union just a year before they struck for the first time. “We went out on strike, and there was a legal battle over whether or not it was legal for us to strike,” she said. After 14 days the strike ended, but Braun faced repercussions. “In retaliation, my principal gave me my evaluation at the end of the year. After I left the room and had signed it, he turned it over said I was a striker, and insubordinate," she recalled. RELATED: Denver teachers strike: What is ProComp (and why does it matter)? When the district transferred her to a tougher job, Braun decided to enroll in graduate school. Twenty-five years and several teaching gigs later, she found herself back on the picket line again. This time, her son was a DPS student and didn’t feel right being in an under-staffed school during a strike. He wanted to leave. “I told him to do it the right way. Go to the front door. Tell them you're leaving. Come out front and join the picket line. He spent the day walking the line with the gym teacher and her dog," she said. When DCTA went on strike at the beginning of this week, Braun was ready. 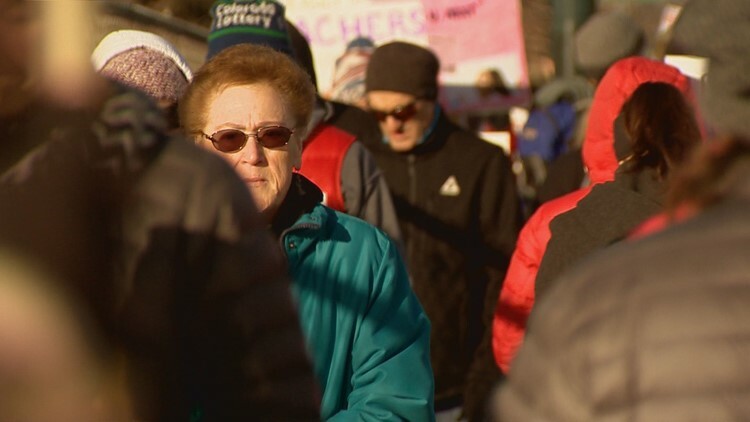 She’s walking the line in unity with her fellow teachers fighting for a better contract. She’s also walking the line because she loves teaching and wants to do it as long as she can.